Freshman forward D.J. Emojong goes all out on a header for a shot on goal. 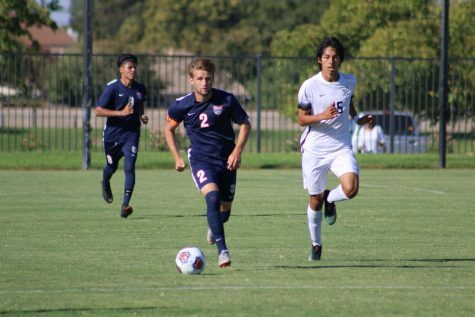 CRC defeated Santa Rosa 2-1 coming closer to securing a playoff spot. 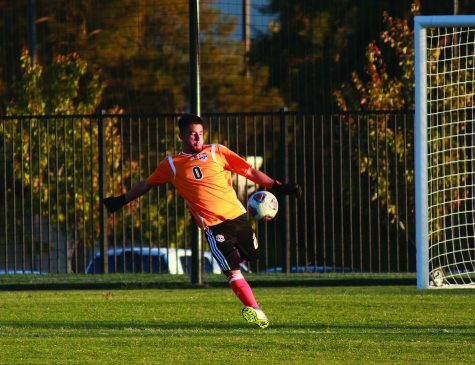 The hopes of the men’s soccer team to make the playoffs lay squarely on their own feet after a bruising 2-1 win over Santa Rosa Junior College on Tuesday. 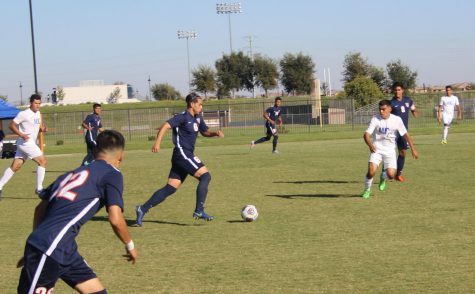 The Hawks struggled to gain control of the game in the first half and fended off the Bear Cubs’ repeated attacks during the first 30 minutes. The high stakes of the game was reflected in the intensity of play for both teams. 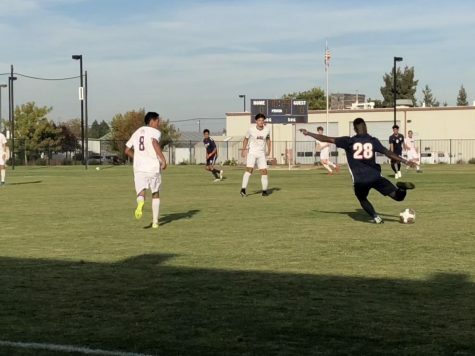 After the 30th minute, the Hawks began to gain control of the momentum of the game while attacking the ball on defense and pushing it upfield after changes of possession. 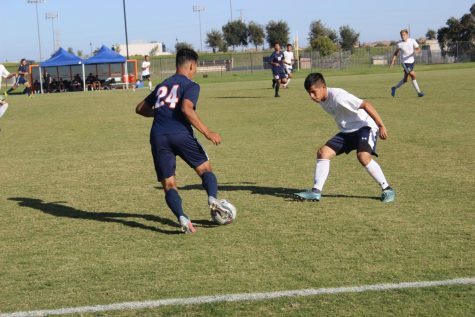 One of these opportunities led to a breakaway by sophomore forward Francisco Comparan who pushed the ball past midfield before passing to freshman forward Roy Rangel. The streaking Rangel got past the defender and put the shot away into the right corner of the goal past the leaping keeper. The Hawks finished the half with a couple more opportunities to score but were unable to convert and went to halftime leading 1-0. As play continued in the second half, the ferocity of the game increased. The Bear Cubs played with an almost maniacal passion, barely stopping when the ball went out of bounds or a foul was called. 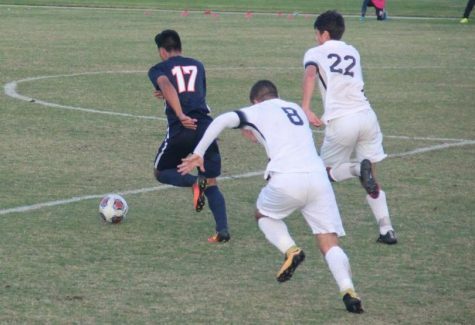 During the half, the Bear Cubs had several corner kicks and indirect free kicks but were unable to convert any scores. The Hawks continued to play defense and attack the Bear Cubs’ defenders whenever they could. 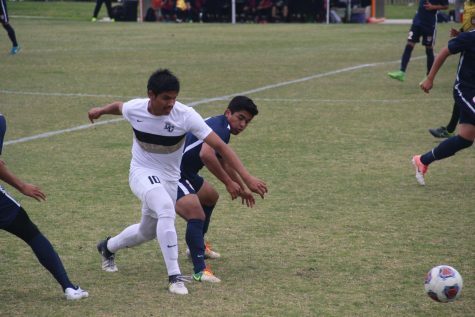 Midway through the second half, the Rangel was on another break away and with only the keeper to beat was fouled by the keeper on a hard tackle. 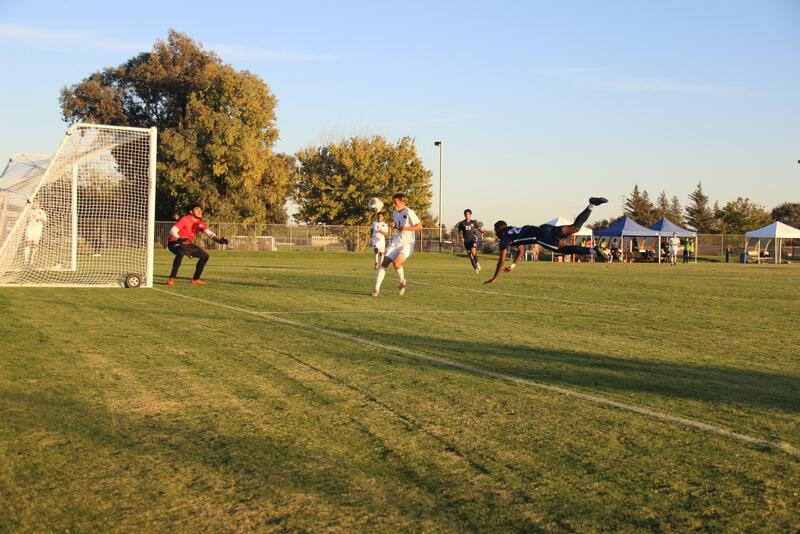 That foul produced a penalty kick taken by sophomore midfielder Lincoln Carvahlo who converted for a 2-0 lead. From that point on, the Hawks tried to slow things down while the Bear Cubs, desperate to score, increased their pace of play, trying to find opportunities to get back in the game. They were finally able to get a goal on a hard shot 20 yards out from the middle when the Hawks lost track of their spacing. “They got a goal partly because we got stretched and our guys didn’t rotate,” Preble said. 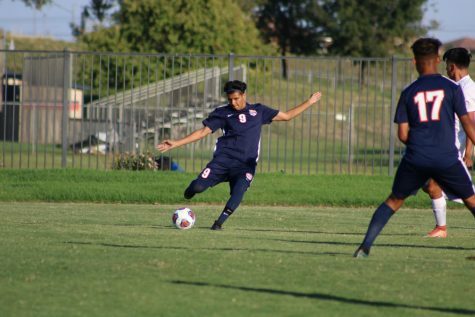 The Hawks almost allowed another score but a nifty sliding foot first save by keeper Alexis Jacobo-Trejo salvaged the lead. Prior to the game on Tuesday, the Hawks sat at 11th out of 14 available playoff spots. With Tuesday’s win, Preble was confident that they would at least maintain that position, leaving them with one final regular season game to perhaps determine their playoff fate. 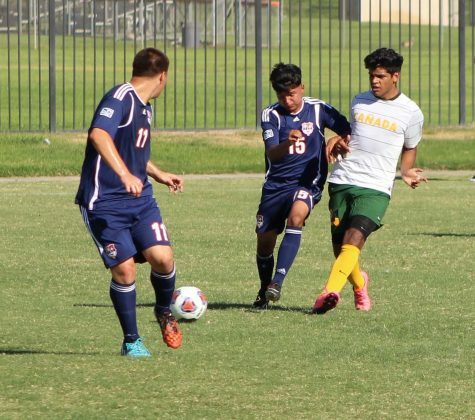 That game will be a rematch against second place San Joaquin Delta college on Friday at CRC. The Hawks are confident going in to Friday feeling like they were the better team in their first match.